Praying, Packing and Ready to Go! This past Sunday, our Guyana mission team was commissioned for the trip leaving Wilmington on Friday, March 6. Pastor Tim Reaves laid hands on the team members, praying for fruitful ministry and traveling mercies. After the service, we enjoyed chili from the Youth Chili Cook-off and then onto the packing. 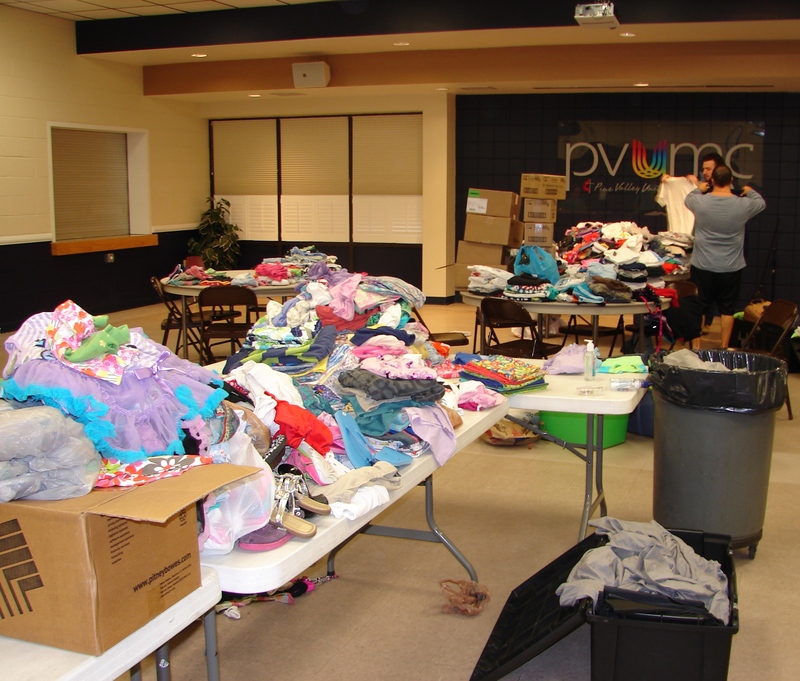 We were overwhelmed by the generosity of folks donating children’s clothes, flip-flops and T-shirts. All of this generosity then needed to be packed into the foot lockers. And we did it! 19 foot lockers – our checked luggage! Posted on March 4, 2015 March 4, 2015 Categories Guyana Mission Trip - March 2015Tags Foot lockers, fruitful ministry, Generosity, Guyana mission team, Packing, Team, team members, traveling mercies1 Comment on Praying, Packing and Ready to Go!